As children become "collateral damage" -- or direct targets—in war and conflict zones worldwide, nation's pediatricians work to greater awareness and protections during 2018 national conference. ORLANDO, FLA – Children are killed and injured in armed conflicts across the world every day, and yet their numbers often go uncounted -- and their voices unheard. The American Academy of Pediatrics (AAP), seeking to raise awareness of the immediate and long-term harm done to children affected by violent conflict and war, will present its first policy statement on the topic, "The Effects of Armed Conflict on Children," during its 2018 National Conference & Exhibition in Orlando, Fla. The policy statement and accompanying technical report will be published in the December 2018 issue of Pediatrics. A news conference is scheduled Monday, Nov. 5, featuring one of the authors of the reports, Jeffrey Goldhagen, MD, MPH, FAAP. Julie Linton, MD, FAAP, also will address the ongoing crisis in which immigrant children are being held in U.S. detention facilities and separated from their families. "Children today are not only considered collateral damage in some war zones, they are being targeted by attackers, exploited and recruited to participate in the conflict," Dr. Goldhagen said. "The impact of armed conflict on children is among the most critical health issues affecting children worldwide. We must advocate for children in conflicts that, for many of them, started long before they were born." The AAP recognizes children of all ages, including preschool children, suffer both direct and indirect effects of armed conflict, which is defined as any organized dispute that involves the use of weapons, violence, or force. Armed conflict is considered both a toxic stress and a significant determinant of child health. "The effects of armed conflict on child health and well-being are among the greatest child rights violations of the 21st century," said Ayesha Kadir, MD, MSc, FAAP, a lead author. "Yet we have a very limited understanding of the scale of the problem, what it means for children in the medium and long term, or how we can protect them and promote their health. We need to prioritize children and their families in research, and to collaborate across sectors to identify how to best help children and families not only during the period of exposure to armed conflict or war, but also in the years afterward." Children exposed to armed conflict, whether directly or indirectly, suffer high rates of post-traumatic stress disorder, depression, anxiety and other mental health problems. Notably, children of deployed U.S. military personnel have higher rates of emotional and behavioral problems, and substance abuse, than the general population. Yet, the AAP states that children are resilient, and recommends that children be allowed to advocate on their own behalf in the creation of policies and programs that help heal themselves and their communities. 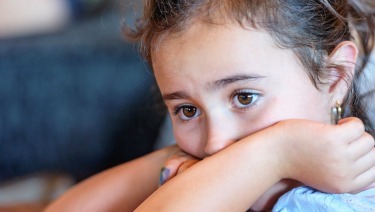 "We want to avoid seeing children as helpless victims but recognize the trauma children and their families have experienced," said Sherry Shenoda, MD, FAAP, a lead author. "Physicians can also help children by easing the strain on their parents, whether that means referring them to mental health services or pointing out a local food bank." Health professionals should collaborate with local refugee resettlement groups, schools, and other community organizations to help provide medical care, legal representation and other needs for the families' integration into the community. Children affected by armed conflict, including those who have been displaced or formerly associated with armed groups or armed forces, should be protected from all forms of torture and deprivation of liberty. Children fleeing from armed conflict should be allowed to petition for asylum and should be screened for evidence of human trafficking. Children of all ages affected by conflict should have access to educational opportunities in a safe and nurturing environment. Children should not be separated from their families during displacement and resettlement. "Pediatricians and all who are concerned about children's health and well-being must mobilize to address this global issue," Dr. Goldhagen said. "Children must be counted."